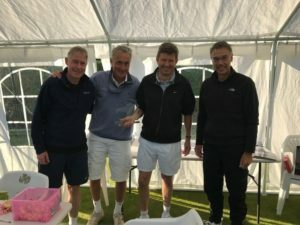 The 14th Annual Louise Willgrass Memorial Ladies’ Doubles Charity Tennis Tournament was held at East Anglia Tennis & Squash Club, Lime Tree Road, Norwich, on Wednesday 10th October 2018, sponsored by REALITY Estate Agents, Grove Road, Norwich. 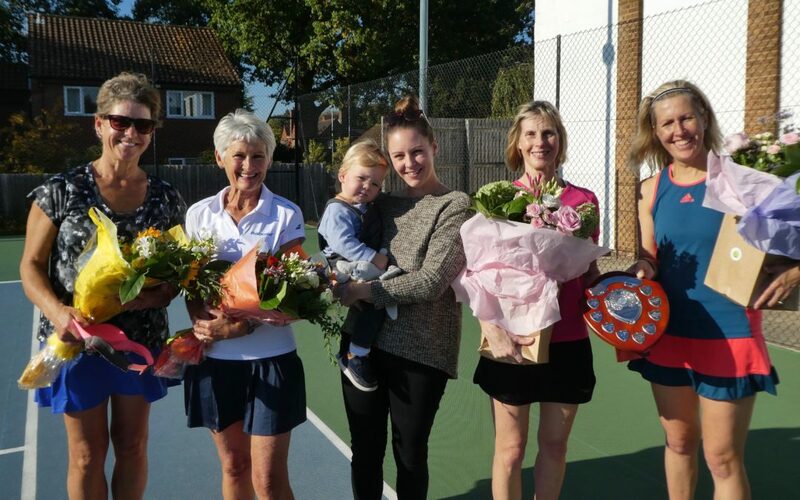 Lorna Soar & Wendy Taylor (Culford) beat Holly Elkins & Jo Gowing (Brooke), Frances Hornor & Sarah Walker (EATSC) beat Ann Starky & Alison Gilmour (Cringleford), Judith Lee & Cheryl Buck (EATSC beat Dawn Stocker & Liz Gilmour (Blofield) and Lisa Lowe & Linda Wardle (Cromer) beat Sarah-Jane Bullock & Lisa Bligh (Diss/Beccles). In the semi-finals Frances & Sarah beat Lorna & Wendy and Lisa & Linda beat Judith & Cheryl. The raffle was held during a delicious lunch laid on by the club and many thanks must go to the hard work of Sharon, Katie & Alasdair (EATSC’s new manager – I don’t think he’s been in a room quite so full of women before!) but referee Derek Perry is well used to it and manages the event masterfully! Raffle prizes included a handbag from VANILLA and Top Spin Tennis Racket Stringing Vouchers but were mostly donated by the players themselves. After lunch a one-set tie-break final was held with Lisa & Linda from Cromer beating the EATSC pair, Sarah & Frances, 6-2. The prizes of flowers prepared by Libby Ferris (Grove Road)and kindly donated by Lucy Carne of REALITY Estate Agents (Grove Road) were presented by Diane Bush on behalf of Emily Willgrass, daughter of Louise, who attended the prizegiving with her one-year old son, Benjamin. The £1,000 proceeds of the event will be given to Cruse Bereavement Care Norwich, the chosen charity of the Willgrass family. Becky Bushell from the charity thanked the ladies for their valuable contribution to the much-needed work they do helping bereaved people. Photo showing L-R Frances Hornor, Sarah Walker, Emily Willgrass & Benjamin, Linda Wardle & Lisa Lowe. She rallies is a Judy Murray led initiative where female ambassadors are trained by Judy to the train other females. With the hope to encourage more girls to try tennis. 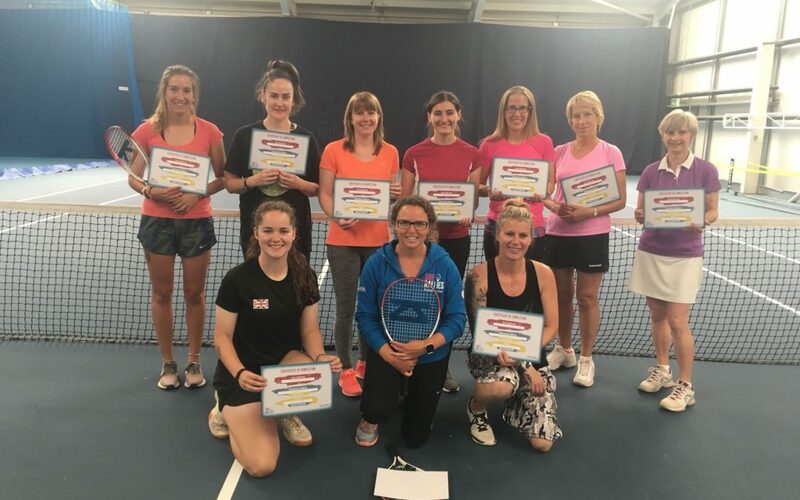 On 25th June 10 ladies from all over the county attended Norfolk’s first ‘little miss hits’ Course. This course is aimed to teach females to deliver non technical fun starter tennis sessions to 5-8year old girls. Over the weekend of 30th/1st July the U/12 Boys and Girls were competing in the Aegon County Cup. 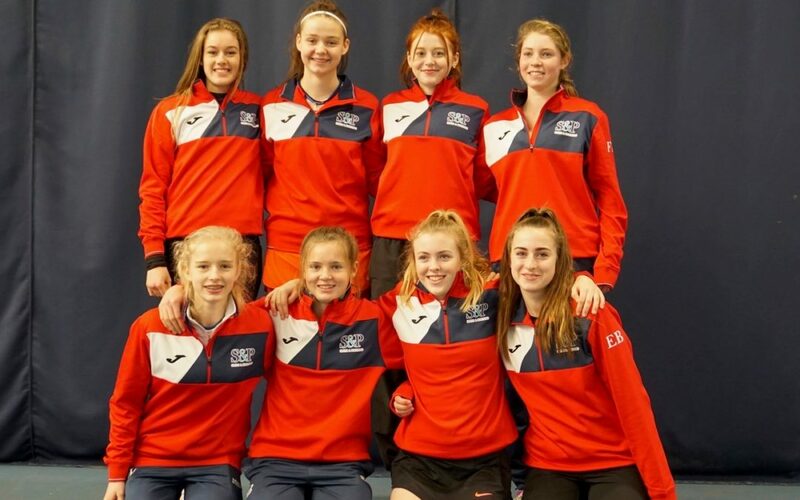 Norfolk Boys and Girls were grouped with Middlesex, Essex, Cambridgeshire, Bedfordshire, and local rivals Suffolk. The six teams were split into two groups of 3 with the top two teams progressing to the Semi Finals. The winning team overall would then progress to the national finals. The Boys started off against the strongest team on paper, Middlesex. Jayden Durham was first on court and raced into a 3-1 lead with some clever play. Unfortunately he couldnt close out the set (playing short sets to 4) and lost in straight sets. Joseph Philpott played in the next singles match and played some great shots against an experienced opponent. Unfortunately a lack of consistency cost him the match. 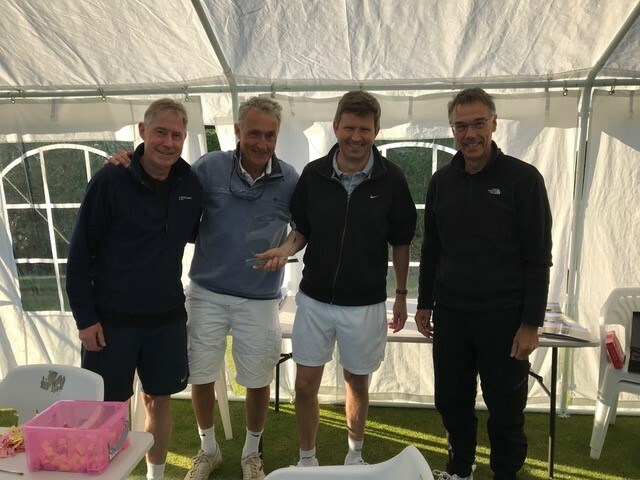 Our no.1 player, Oli Buckingham Green then played what became the match of the weekend against a player who remained undefeated throughout the weekend. Olly ran and ran and ran, showing amazing resillience to stay in the point. It was a long match and Olly eventually earned 5 match points which he was enable to convert to get over the line. So defeat against Middlesex was followed by a match with Suffolk. A switch in the team order enabled Remi Pilgrim to come in for Joseph. This time it both Remi and Oli won convincingly to set up a doubles for victory. The pairing of Olly and Joseph lost this and leave the score at 2-2. This meant a doubles tie-break play off was needed, with Remi coming in for Joseph. It was a fantastic tie-break which Norfolk eventually won 13-11. On day 2 Norfolk were slow to get started against Essex with quick defeats for Jayden, Remi and Oli. The pairing of Jayden and Joseph played a good doubles match but it was not enough to prevent a 0-4 defeat. A final match against Cambridge was then played out. Olly was the only matchwinner as the team suffered a 1-3 defeat. Joseph was back in for the singles and again played well to recover from losing the first set to force a tiebreak. Like Olly on Day 1, he stood at match point but was unable to clinch the match. Overall the Boys played there hearts out and behaved really well. We can all be very proud of there efforts and perhaps on another day we could have finished higher than 4th in the group.